TMG International | We’re proud to announce our new client VSL! 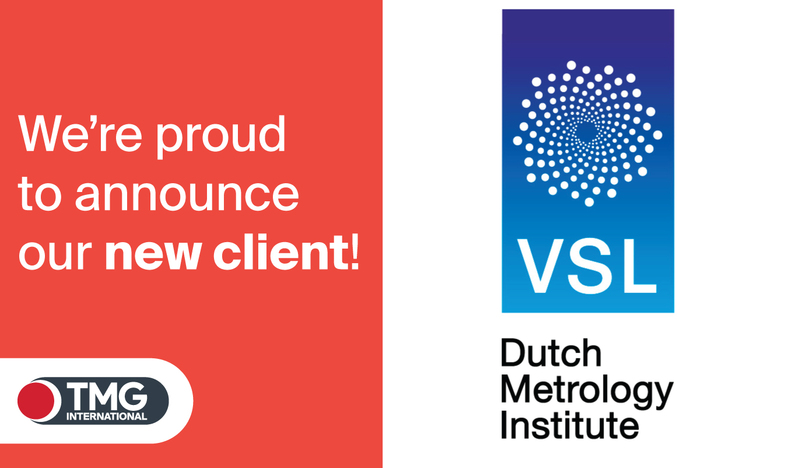 We’re proud to announce our new client VSL! We’re proud to announce our new client VSL! VSL makes measurement results of companies, laboratories and organisations directly traceable to international standards. The Dutch government has appointed VSL to maintain and develop the national measurement standards. VSL makes an important contribution towards the reliability, quality and innovation of products and processes, both in business and society at large.